A FEW days after the shocking defeat of Barisan Nasional in the 14th General Election (GE14), blogger Bakri Musa wrote: “Umno’s implosion has begun.” I am not sure whether many Malaysians took notice of it. In late June, Datuk Seri Dr Ahmad Zahid Hamidi said Umno “will return to Putrajaya soon and without the hassle of having to go through a general election”. He added that the Pakatan Harapan government “is unstable and will collapse in the near future”. In other words, to Zahid it is not Umno which is imploding, but Pakatan Harapan. The prospect of Umno imploding was first raised was by Lim Kit Siang in his media conference on March 22. He did so after referring to statements on the party made by, among others, Brigadier-General (R) Mohamed Arshad Raji (president of the National Patriots Association), former ministers Tan Sri Dr Rais Yatim and Tan Sri Rafidah Aziz, and Umno Veterans Club secretary Mustapha Yaakub. According to Lim, the retired army general was critical of the then menteri besar of Negri Sembilan, Datuk Seri Mohamad Hasan, who allegedly had incited some youths to “take physical action” against anyone who slandered the BN government. Arshad said that if politicians continue to make inflammatory speeches, then the next election will not be free from violence. Consequently, he urged the police to investigate the matter. Lim said that Rais had spoken out about Red Shirts leader Jamal Yunos whose antics in carrying a coffin to the Selangor state secretariat building had offended many quarters. Rais had also questioned Datuk Seri Salleh Said Keruak for defending Jho Low instead of upholding justice with regard to the seizure of Jho Low’s RM1 billion luxury yacht. Lim said that Rafidah had rebuked the authorities for failing to locate Jho Low’s super yacht when she herself could spot it while on a diving trip in Thailand. Lim had also referred to Mustapha Yaakub who had publicly said that, “No sane Umno leader would ever support Jho Low, much less “love” the man”. Mustapha said it was treason to defend Jho Low because the latter “was at the root of the 1MDB scandal and had caused the government’s good name to be dragged in mud”. The spectre of the party imploding came to mind again last week (on Sept 18) when Jeli MP Datuk Seri Mustapa Mohamed announced that he quit the party because its current direction was no longer in line with his principles. He added that having considered seriously “recent developments” in the nation, he felt that efforts “to regain the people’s trust and restore the party’s image had become an uphill task”. I understood this to mean that he is quitting because the party has lost the trust of the Malaysian public, and in the light of “recent developments” (such as the 1MDB scandal and the resulting money-laundering cases filed in the local courts), there is little hope that the dented and tainted image of the party will ever be restored. Apart from Mustapa, three other Umno MPs had resigned earlier: Mas Ermieyati Samsudin (Masjid Tanah MP), Syed Abu Hussin Hafiz Syed Abdul Fasal (Bukit Gantang MP), and Noor Azmi Ghazali (Bagan Serai MP). In the aftermath of Mustapa’s resignation, Zahid was chided by Khairy Jamaluddin for allowing it to happen. 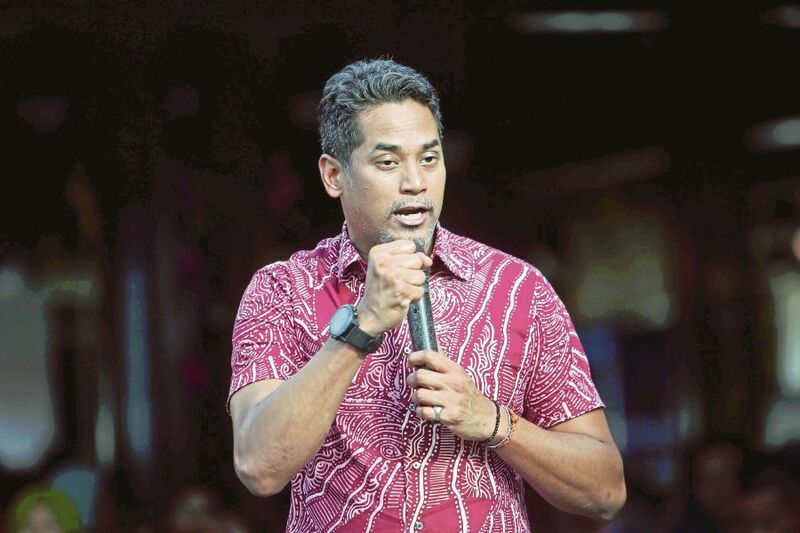 In his tweet, Khairy said that he had been vocal in cautioning the party against forming any alliance with Islamist party Pas but he was attacked for this by fellow members. “Now, we have lost a leading light of our party. A brilliant and good man,” Khairy said. As if agreeing with Khairy, Padang Rengas MP Nazri Aziz said that Mustapa probably left because he was not happy with Umno collaborating with Pas. Is Mustapa’s departure from Umno significant? The former federal minister is one of the few respected Umno leaders left, “the cleanest, moderate and most humble warlord”. His departure confirms that Umno is destroyed beyond repair. His quitting “will open the floodgates for more to do the same”. Before GE14, BN was a coalition of 13 political parties. After the shock defeat, it was reduced to just three parties, when 10 parties jumped ship. BN was left with 57 seats after the defection, with Umno having 54 seats. Now that number is down to 50. At best, Umno today is a frail shadow of its past. I asked a constitutional lawyer for his comments on this latest development. He replied that this nation needed a strong and credible opposition to provide checks and balances against improprieties by the new government. Viewed in that light, he hopes Umno will not completely disintegrate. “I am sure there are still good people in that party, but the old warlords must go,” he said.